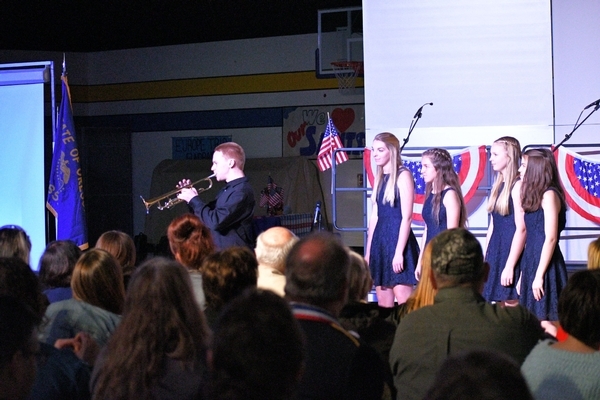 THANK YOU VETERANS AND ACTIVE DUTY PERSONNEL! 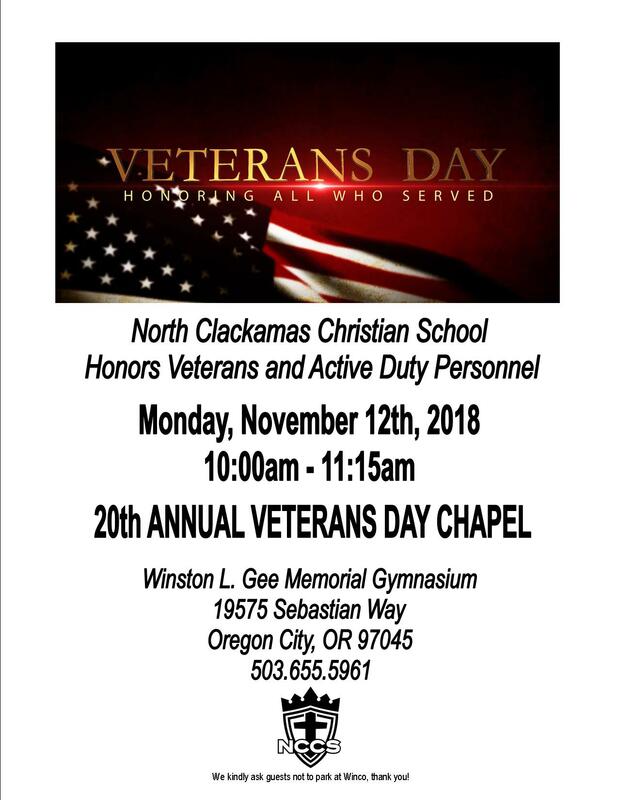 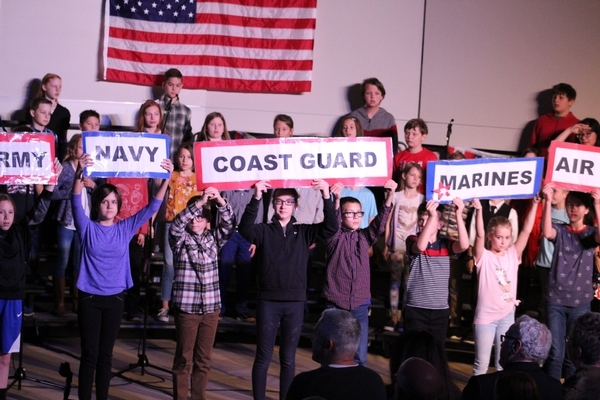 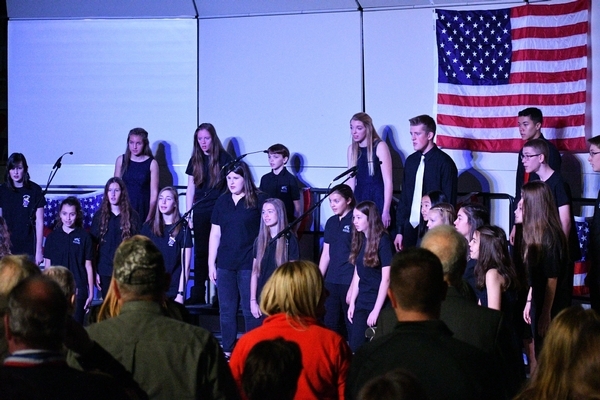 Each year North Clackamas Christian School honors veterans and active duty personnel at our Veteran's Day Chapel. 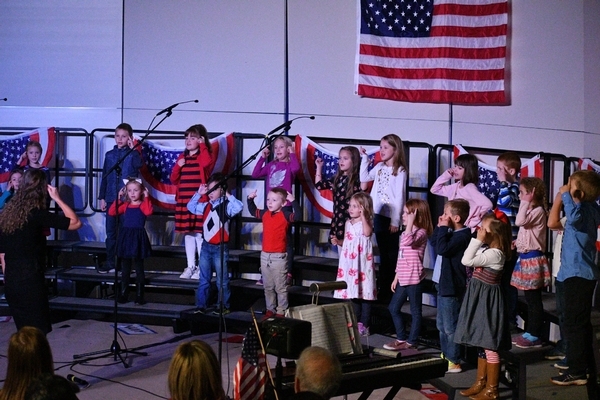 Students from Kindergarten to 12th grade honor our guests with an annual program of military songs, band performances, video's and speakers.